The Streetcar Symposium – TransLink Doesn’t Get it! Zwei attended the streetcar symposium on Wednesday and came out with a great sinking feeling – TransLink just doesn’t get it. The event itself was very well put together, with ample food and drink, but there was little discussion about streetcars, but a lot of back-slapping by the various agencies and bureaucrats attending. The symposium was derailed and for good reason too, I beleive. What was it all about? To my well practiced eyes the event was an infomercial for Bombardier Inc. (they were well advertised) to sell Flexity trams to Vancouver for their $90 million tourist streetcar line. Why not purchase much cheaper second hand trams from Europe? No one has ever thought of that in a Bombardier town. The symposium was mostly a tedious event with most speakers dancing around the topic of streetcars with, “oh no, they are not light rail“, responses. What is even more worrisome is that TransLink hasn’t a clue about light rail or even streetcars and continue their well honed mantra that LRT can’t carry more than 10,000 persons per hour per direction and that streetcar’s capacity is even less! of course this TransLink nonsense is to keep the SkyTrain option alive for Vancouver’s Broadway UBC Line. Lesson for TransLink – Light Rail can carry over 20,000 pphpd! Of course TransLink knows this, but ignores it and continues to squander millions of dollars on pointless transit studies favouring SkyTrain metro or even a $80 million skyride to SFU! As for Rail to the Valley and our ground breaking report? Nope, never, Nada; never heard of the group nor read the study; haven’t a clue what TramTrain is but; “we’ll have a look in Wikipeada……”. Zweisystem’s advice for the South Fraser Region, secede from TransLink and the sooner the better as TransLink is incapable of planning for affordable LRT and continues to dream in “SkyTrain”. Stephen Rees also attended the meeting and even though he said he wasn’t going to post to his blog about it, he has. It is worth while to see his view on the day. The Leewood Projects ‘Full Build Option’ or “Full Meal Deal”. Finally a Transit Plan With Vision! What is interesting about the Rail for the Valley/Leewood Projects TramTrain or interurban report is the vision shown by the author. Not only does he plan for the ‘politically correct’ (for valley types) Scott Road to Chilliwack TramTrain he also looks to the future with extensions to Vancouver, Richmond and Rosedale, with the ‘Full Build Option’ costing just under one billion dollars! For a better perspective, the 11 km. SkyTrain Evergreen Line extension will cost over $1.4 billion and service far fewer potential transit customers, this has lead to demand for more density along the Evergreen Line in the Tri-Cities region to try to increase ridership on the metro. The RftV TramTrain doesn’t need such high density as there is plenty of population along the route to provide ridership. The density issue for rail transit has become a SkyTrain only issue as there is sufficient population to ensure economic operation with much cheaper to build light rail. For the same cost as the Evergreen SkyTrain Line, a full build (Full Meal Deal) Valley TramTrain, Vancouver/Richmond to Rosedale could be built and with the remaining $400 million, a Vancouver/Richmond to Maple Ridge TramTrain operation could also be funded. The planned SkyTrain subway to UBC is estimated to cost $3 billion to $4 billion, yet for the same amount of monetary outlay, we could build a BCIT to UBC/Stanley Park LRT/streetcar ($1 billion); a full build RftV TramTrain ($1 billion); a new multi track Fraser River Rail bridge (approx. $500 million); TramTrain to Whiterock (approx. $300 million); and LRT/tram lines in Surrey and Langley ($500 million to $1 billion+)! For the cost of one SkyTrain subway line, we could fund a sizable regional LRT network combining light rail, TramTrain and streetcar/tram, with the potential of being able to get on a tram in Rosedale and take the same tram to Stanley Park or UBC or Richmond! This is the vision behind the Rail for the Valley/Leewood Projects Report, it is not just a one politically and bureaucratically prestigious rapid transit line, rather a plan to implement affordable light rail transit in the region, providing affordable ‘rail‘ transit for generations. 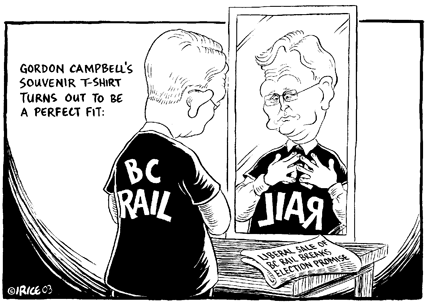 The sad fact is, Premier Campbell lacks such vision with his childish, TransLink Speak, remarks regarding light rail and his pronouncements are a continuing embarrassment for those trying to get affordable rail transit built in the Fraser Valley. The Fraser Valley municipal politicians had better show transit vision now and board the valley TramTrain, lest they be left waiting at the platform, paying Vancouver’s fare for a new $4 billion SkyTrain subway under Broadway. 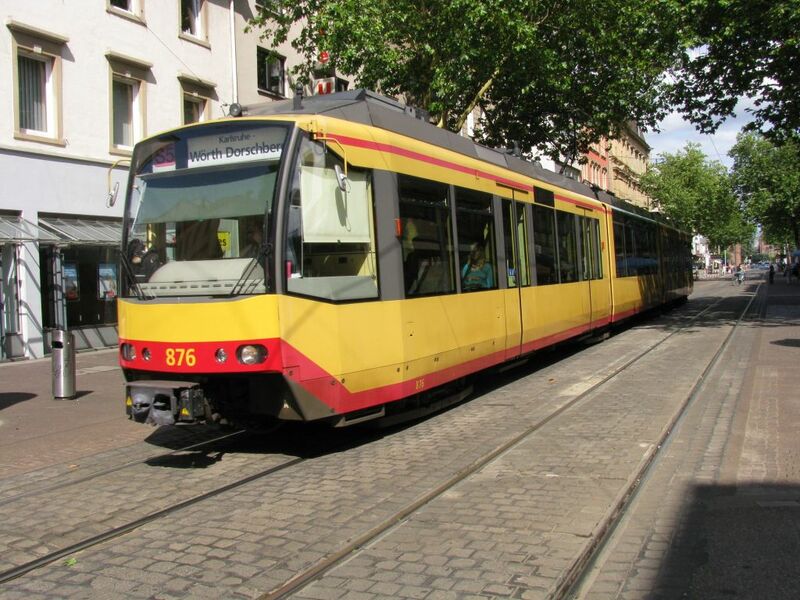 A Karlsruhe TramTrain operating on tram tracks. The same LRV can operate on the mainline. A Must Read For Regional Mayors Before They Talk Transit Funding! Since the spring of 2008, the Light Rail Committee has circulated an E-Mail sent by American transit and transportation expert, Gerald Fox to a Victoria transit group that wants to promote LRT and TramTrain in the Capital Region. Mr. Fox easily shreds TransLink’s business case for the Evergreen Line which should forewarn transit groups and regional politicians in the Fraser Valley that TransLink easily manipulates statistics to favour SkyTrain to the detriment of light-rail and is not to be trusted with any transit study. The following is the text of the E-Mail and for those lobbying for the return of the Interurban, just substitute the Fraser Valley for Victoria. The letter, first published in in this blog December 27th, 2008 is reprinted in light of this weeks meeting of regional mayors with Transportation Minister Shirley Bond and the Premier of BC, regarding funding for the Evergreen Line. The question is basic: If TransLink’s business case for the Evergreen line is dishonest, then would a funding formula for the Evergreen line be equally dishonest? Capacity. A combination of train size and headway. For instance, TriMet’s new “Type 4” Low floor LRVs, arriving later this year, have a rated capacity of 232 per car, or 464 for a 2- car train. (Of course one must also be sure to use the same standee density when comparing car capacity. I don’t know if that was done here). In Portland we operate a frequency of 3 minutes downtown in the peak hour, giving a one way peak hour capacity of 9,280. By next year we will have two routes through downtown, which will eventually load both ways, giving a theoretical peak hour rail capacity of 37,000 into or out of downtown. Of course we also run a lot of buses. The new Seattle LRT system which opens next year, is designed for 4-car trains, and thus have a peak hour capacity of 18,560. (but doesn’t need this yet, and so shares the tunnel with buses). The Business Case analysis assumes a capacity of 4,080 for LRT, on the Evergreen Line which it states is not enough, and compares it to SkyTrain capacity of 10400.! Speed. The analysis states the maximum LRT speed is 60 kph. (which would be correct for the street sections) But most LRVs are actually designed for 90 kph. On the Evergreen Line, LRT could operate at up to 90 where conditions permit, such as in the tunnels, and on protected ROW. Most LRT systems pre-empt most intersections, and so experience little delay at grade crossings. (Our policy is that the trains stop only at stations, and seldom experience traffic delays. It seems to work fine, and has little effect on traffic.) There is another element of speed, which is station access time. At-grade stations have less access time. This was overlooked in the analysis. Also, on the NW alignment, the SkyTrain proposal uses a different, faster, less-costly alignment to LRT proposal. And has 8 rather than 12 stations. If LRT was compared on the alignment now proposed for SkyTrain, it would go faster, and cost less than the Business Case report states! Cost. Here again, there seems to be some hidden biases. As mentioned above, on the NW Corridor, LRT is costed on a different alignment, with more stations. 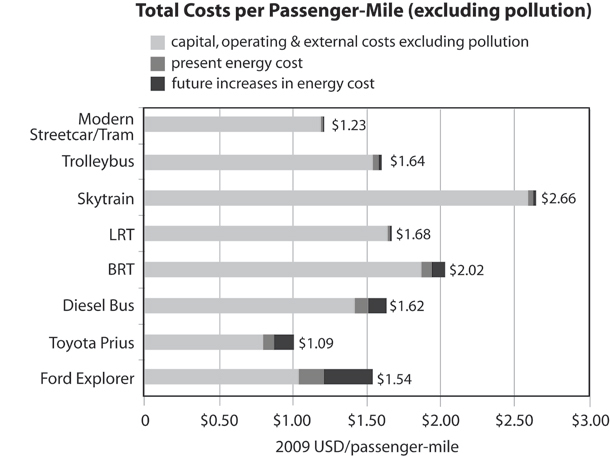 The cost difference between LRT and SkyTrain presented in the Business Case report is therefore misleading. If they were compared on identical alignments, with the same number of stations, and designed to optimize each mode, the cost advantage of LRT would be far greater. I also suspect that the basic LRT design has been rendered more costly by requirements for tunnels and general design that would not be found on more cost-sensitive LRT projects. Then there are the car costs. Last time I looked, the cost per unit of capacity was far higher for SkyTrain. Also,it takes about 2 SkyTrain cars to match the capacity of one LRV. And the grade-separated SkyTrain stations are far most costly and complex than LRT stations. Comparing 8 SkyTrain stations with 12 LRT stations also helps blur the distinction. Ridership. Is a function of many factors. The Business Case report would have you believe that type of rail mode alone, makes a difference (It does in the bus vs rail comparison, according to the latest US federal guidelines). But, on the Evergreen Line, I doubt it. What makes a difference is speed, frequency (but not so much when headways get to 5 minutes), station spacing and amenity etc. Since the speed, frequency and capacity assumptions used in the Business Case are clearly inaccurate, the ridership estimates cannot be correct either. 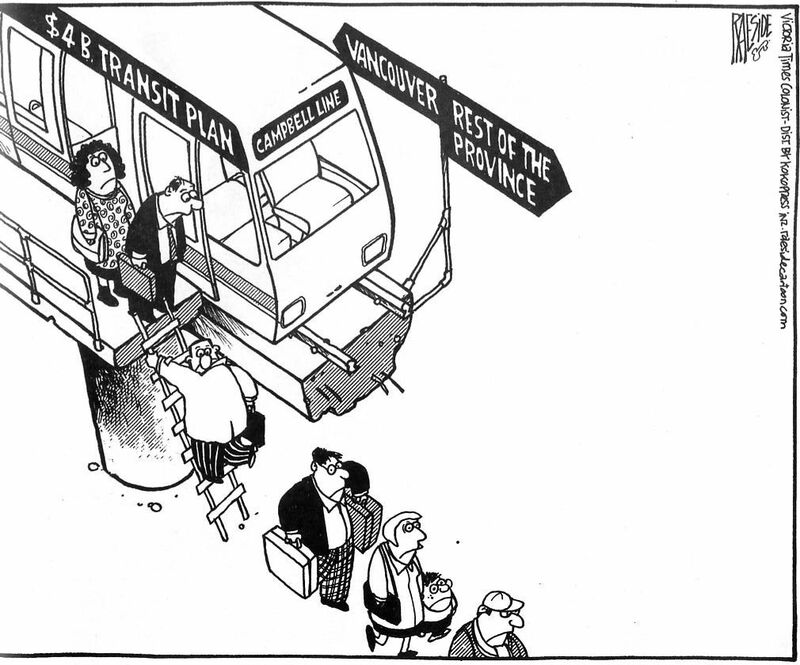 There would be some advantage if SkyTrain could avoid a transfer. If the connecting system has capacity for the extra trains. But the case is way overstated. And nowhere is it addressed whether the Evergreen Line, at the extremity of the system, has the demand for so much capacity and, if it does, what that would mean on the rest of the system if feeds into? Innuedos about safety, and traffic impacts, seem to be a big issue for SkyTrain proponents, but are solved by the numerous systems that operate new LRT systems (i.e., they can’t be as bad as the SkyTrain folk would like you to believe). 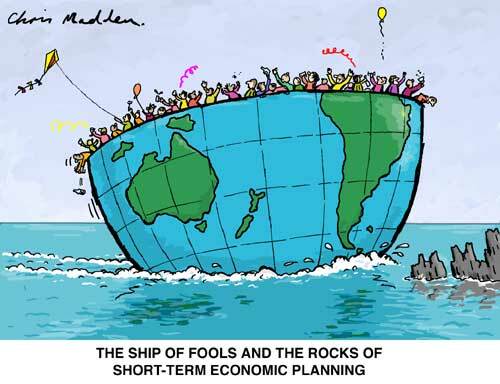 I’ve no desire to get drawn into the Vancouver transit wars, and, anyway, most of the rest of the world has moved on. To be fair, there are clear advantages in keeping with one kind of rail technology, and in through-routing service at Lougheed. But, eventually, Vancouver will need to adopt lower-cost LRT in its lesser corridors, or else limit the extent of its rail system. And that seems to make some TransLink people very nervous. It is interesting how TransLink has used this cunning method of manipulating analysis to justify SkyTrain in corridor after corridor, and has thus succeeded in keeping its proprietary rail system expanding. In the US, all new transit projects that seek federal support are now subjected to scrutiny by a panel of transit peers, selected and monitored by the federal government, to ensure that projects are analysed honestly, and the taxpayers’ interests are protected. No SkyTrain project has ever passed this scrutiny in the US. But the BIG DEAL for Victoria is: If the Business Case analysis were corrected to fix at least some of the errors outlined above, the COST INCREASE from using SkyTrain on the Evergreen Line will be comparable to the TOTAL COST of a modest starter line in Victoria. This needs to come to the attention of the Province. Victoria really does deserve better. Please share these thoughts as you feel appropriate. The LR55 Rail System – Cheap track for trams! This item first appeared in August 20,2009, but I think it is so important to reprint the article in light of todays interest in streetcars and light rail in Vancouver and Surrey. The LR55 rail, not only provides a cheaper solution to tram track construction, it makes a quick job of construction, making life a lot easier for those living next to the new tramline. A 20 km. BCIT to UBC tramline could be laid in as many as 125 days (two track gangs) or a little more than 4 months! One of the major expenses of conventional tram projects is the track. This is laid on a concrete raft set under the road. In order to accomodate these rafts the underground services, like gas and water, have been diverted out of the way of the tracks. This process took a considerable amount of time and money in schemes like Manchester and Sheffield. 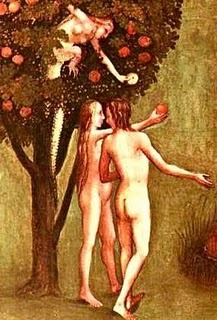 In addition it caused disruption to inhabitants while taking place. To avoid or reduce these problems NET proposes to use the revolutionary LR55 rail system. This is laid in the road structure itself so that there is little or no disturbance to underground services. Instead a slot is cut in the road and the track laid in. The track exploits the strength of existing highway pavements by transmitting the static and dynamic loads from the upper surface, rather than the foot of the rail as in conventional track. This results in the load on the railhead being distributed onto the sub-base of the highway, being of a sufficiently low value not to require a separate foundation. Up to 100m can be laid in a night. The rail carries the weight of the tram, steers the tram and is the return conductor for the electric power supply. The LR55 rail has a wide lip compared to conventional tram rail. This is to allow the road structure to carry the weight of the tram. The rail top surface and the trough unit are treated to provide a compatible skid resistance to the adjacent highway surface. This is a rubber like compound that prevents vibrations from the tram being transfered to the road and surroundings. Old fashioned trams used to rumble along the street as the tracks did not have this feature. Modern trams are very quiet because of features like this grout. It also insulates the electricity returning to the sub station, so that it does not travel through other cables buried in the road. This forms the base for the rail and connects it to the road structure. It is fitted into a slot cut into the road. Where there is a road base thicker than 225mm the Trough Unit is bedded into the base. Where the road base is less than 225mm the Trough Unit is bedded onto the sub-base. The track can also be laid in concrete pavements, older road construction and block paving. These are outlined in the technical specification for the track. Should it be necessary to work on services crossing the tramway, the track is self-supporting over a distance of one metre. This allows access trenches to be dug without affecting the tram service. Safe methods of working have been developed to ensure the safety of tramway passengers and staff, as well as utility workers. 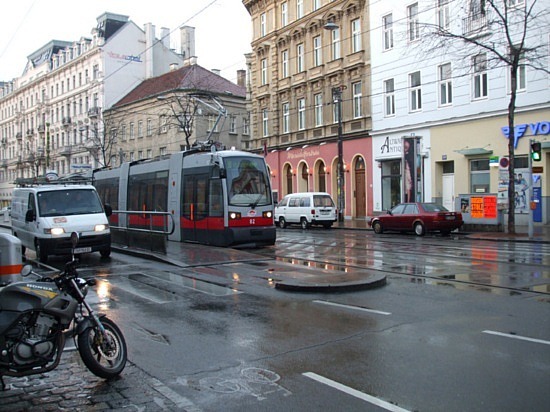 These methods are already established in existing tram schemes. There are further details of LR55 track at the LR55 web site. Nice Tramway – is now open and running – Lessons for the Broadway LRT Gang! 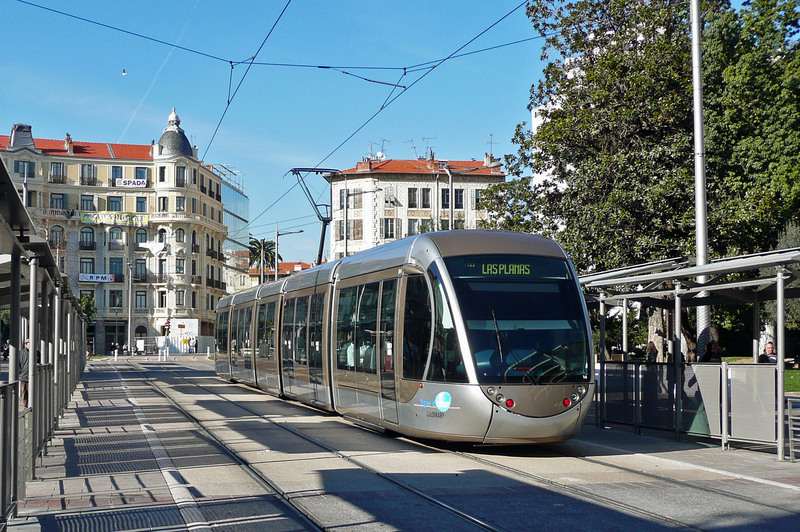 The following link shows the newly opened Nice LRT/tram system and shows how well modern LRT fits into urban centres. The nature of Broadway is going to change with both metro and LRT, the questions that merchants and residents must ask, which mode will enhance livability? There is much debate about that question, but until TransLink gets the twinkle of metro away from its eyes, any talk of LRT will be both dated and negative. Thank you for blog reader, David Cockle, for more European tram movies!